The New York Red Bulls have hired a sports and marketing veteran as their new chief commercial officer, who will oversee all of the Major League Soccer club’s revenue-driving departments. The organization on Tuesday announced the hiring of Amy Scheer, who previously served as vice president of marketing, media and fan relationship management for the rival New York City FC. Her duties with the Red Bulls, who play their home games in Harrison, will include managing ticket sales, fan services and ticket operations, partnership marketing and Red Bull training programs. Joseph Stetson will continue to oversee the club’s marketing, communications and multimedia departments, according to a news release. 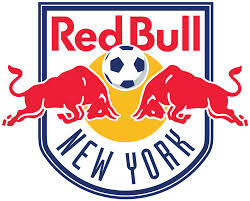 Both Scheer and Stetson will report directly to Red Bulls General Manager Marc de Grandpre. With New York City FC, which began playing in 2013, Scheer helped the launch the club by working closely with the ticket sales and sponsorship groups, the news release said. In addition, she managed all marketing, media and fan relationship programs. Prior to entering professional soccer, the University of Massachusetts-Amherst graduate spent four years as director of marketing for Grand Central Terminal, the Red Bulls said. During her time there, Scheer oversaw marketing, public relations, social media, events and the iconic centennial celebration. In 2001, Scheer took over as vice president of marketing and communications for the New York Liberty of the WNBA, increasing overall ticket sales by 130 percent and pushing renewals over 80 percent. She has also served as vice president of broadcasting for the New Jersey Nets.